The following story was run in the Sunday Mail NDIS liftout. Issue 3 February, March, April edition. After a health setback, Tia Halakas spent six frustrating years searching for employment until outside assistance and her own tenacity finally paid off, writes JENNIFER HULLICK. Efstratia (Tia) Halakas may be in a wheelchair but she is normally standing tall and helping put out the message about how difficult life can be for people with disabilities, especially those in regional areas. The young Berri woman, who has cerebral palsy, has always set her sights on living life to the full, which includes holding down a job. Although the 28-year-old had managed to find employment in the past, the need for a kidney transplant in 2012 put a halt to work for the two years it took to recuperate. When she was back on her feet, she embarked on a new job search, but six years later she was still struggling to find a new employer. “I lost track of the number of jobs I applied for,” Tia says. In the mean time, she put in extra effort, studying for certificates in Business Administration and Children’s Services, being active with the Girl Guides and volunteering in the library of a local special needs school, sorting out the books. Finally, she sought help from Community Bridging Services (CBS) Inc.’s Jobnet Employment Program in Berri, whose staff helped in the job hunt. An employment officer went with Tia to an interview for an administrative assistant position at Rosenthal Automotive in June 2017 and, by the next day, she had the job, working one day a week. “The people at work are wonderful, there’s a great culture there, they are really supportive,” she says. Her perseverance was rewarded in the annual CBS Inc. Amelia Rix awards, named in memory of the late Amelia Rix, who was a long-term participant in the CBS Inc. job program. Each year, other participants who show determination and spirit in finding and keeping a regular job in open employment are ushered into the spotlight. Nominees need to have secured work and be participating in other volunteer and community work. 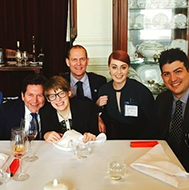 Tia fit the bill, along with many other young workers with a disability, shining out because of her passion for increasing the social inclusion of people in her situation. CBS Inc. says she is now respected as a valuable, efficient and diligent member of the team at Rosenthal. 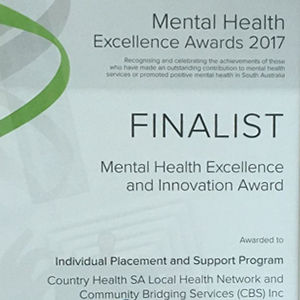 The judges were also impressed by the fact Tia had fronted up to the local newspaper, the Murray Pioneer, to help raise public awareness of the difficulty people with a disability have finding employment. 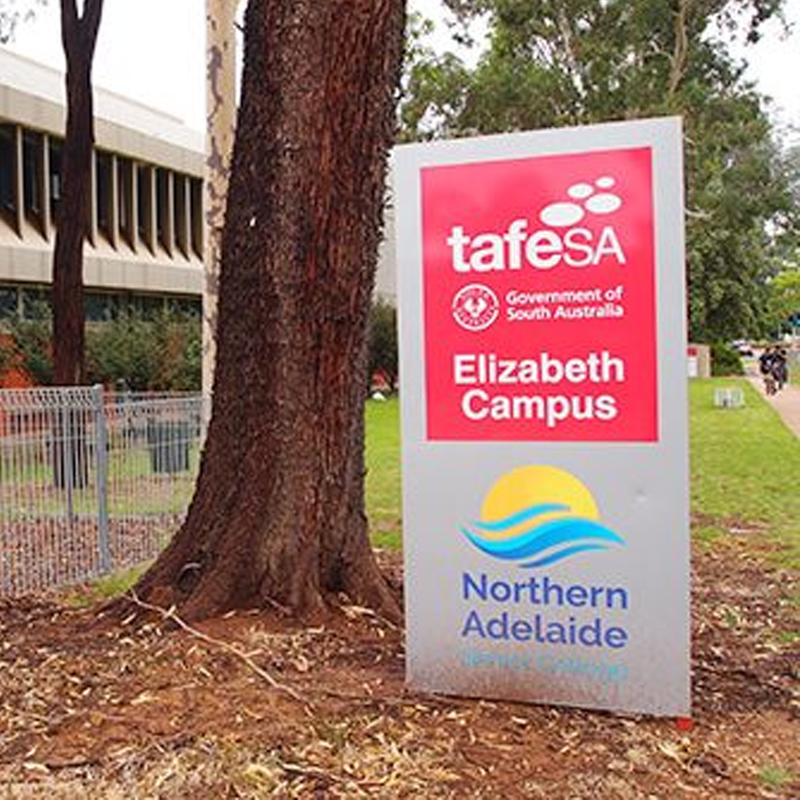 “I wanted people to know how difficult it can be in Australia for people with disabilities. There’s a real need for support services and respite care in this region,” she says. After proudly receiving her award in a wheelchair, “I broke my leg before the ceremony but normally I don’t need a wheelchair,” she adds, Tia hopes to one day be able to work longer hours and keep participating in her community. 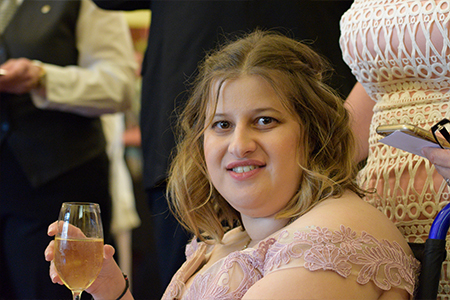 The NDIS is still quite new in the Riverland and Tia is still in pre-planning mode, working out supports that will help her achieve her personal and work goals. 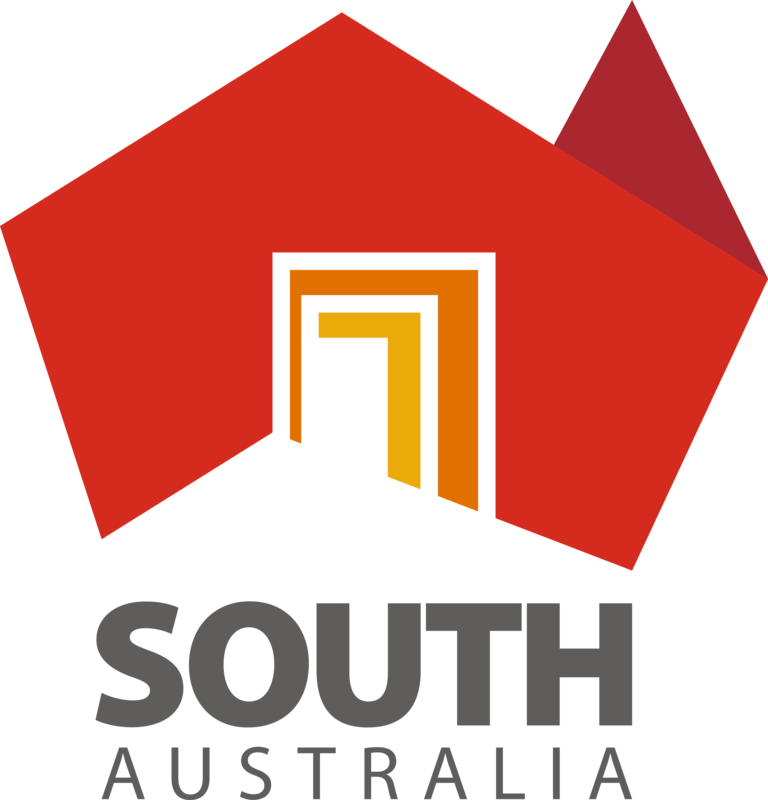 CBS Inc. says about half of the 15 Amelia Rix nominees come from rural areas in SA, including Pt Lincoln, Port Augusta, Port Pirie, the Riverland and Whyalla and work in fields from retail, medical research, education, administration, hospitality to promotions. The eventual overall winner, Tom Pride, is an Adelaide man who works in retail helping customers with inquiries. He has also done study to better pursue work and uses this for his volunteer role at the Nature Education Centre, at Urrbrae, which helps to keep animals and reptiles and has visits from primary school students. 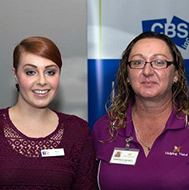 CBS Inc. supports people with a disability in the areas of open employment, NDIS supports, further education, the arts and recreation.